The friendlies will take place on Monday (September 24) and Tuesday (September 25) at the National Sports School in Pembroke with both games kicking off at 18.30. The squad named by Hermans, starting his second spell as Malta futsal coach, is derived from three clubs – champions Valletta FC Futsal, Luxol Futsal and Birkirkara FC Futsal. 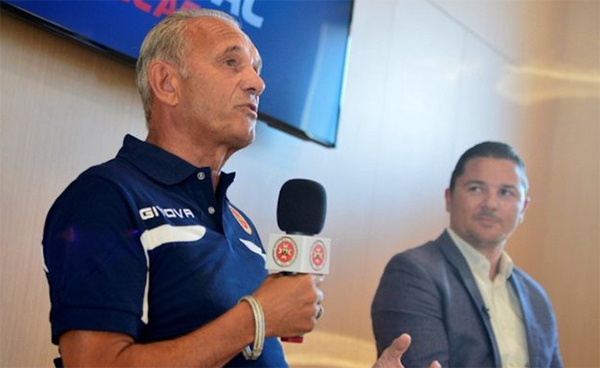 Hermans is aware that Malta face an uphill task against the more-quoted Dutch side but hopes that these two friendlies will serve as a useful learning experience for the Maltese players. “I know that these friendlies will be difficult for my team, especially since the domestic championship starts in October, but I’m sure this will be a useful experience for the players,” Hermans said. “Holland are a strong team but, like us, they are amateurs. Their futsal players work in the morning and play futsal in the evening but this didn’t impede them from reaching a high level. “Thus, these games will show us the way we want to go. “In the coming months, we will also be playing friendly games against Northern Ireland, home and away, in preparation for our participation in the FIFA Futsal World Cup qualifiers. “Our target is to prepare the team as best as we can for these qualifiers.